Provide comfort for the family of Mary Parcell with a meaningful gesture of sympathy. Mary Jane Parcell, 76, of Charleston, WV went home to be with the Lord on March 13, 2019 at Hubbard Hospice House with family by her side. Mary loved to cook, can, sew, listen to country music, and never met a stranger. Mary was preceded by her late husband Johnny Parcell; mother Olvie Plumley Withrow; father William Withrow Sr.; brothers William Jr, and Lewis Withrow and Ralph Gatewood. On June 15, 2018, Mary lost her favorite son-in-law, Carlos W. Stover Sr.
Mary is survived by her daughters; Delores Stover of Pinch, Ronda and Frank Crouch of Charleston, Kathy Thompson of Charleston, Sally Morton of Charleston, and Kristy Parcell of Charleston. Sons; Bobby Thompson of Charleston, Danny and Becky Anderson of Charleston, Roger Anderson of Charleston, Jason Anderson and Stacy Wheeler of Clendenin; sisters, Patricia Bishop and Brenda Johnson of Clendenin, and Sara Good of Charleston. Mary is also survived by special friends Joyce Townsend, Ellen Bennett, and very best friend Irena Pittman, Allen "Elvis" Bird who would sing Elvis music to her. She is survived by grandsons; Wesley Stover, and Larry Skiles. Mary has 23 grandchildren and 18 great grandchildren. Mary was a loving mother, grandmother, and friend. Special thank you to Laura, Mary, and the Hubbard Hospice House for their care of our mother. Visitation will be 11am-1pm Tuesday March 19th at Hafer Funeral Home in Elkview. Funeral service will be 1pm on Tuesday March 19th at Hafer Funeral Home with Pastor Jerry Walls Sr. officiating. Burial will be at Elk Hills Memorial Park in Big Chimney. To send flowers in memory of Mary Jane Parcell (Withrow), please visit our Heartfelt Sympathies Store. 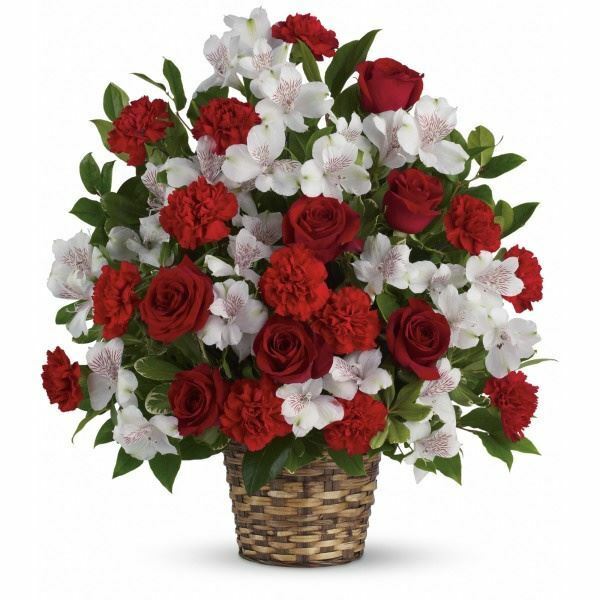 Provide comfort for the family of Mary Jane Parcell (Withrow) by sending flowers. Heartfelt Sympathies Store purchased the Truly Beloved Bouquet for the family of Mary Parcell.